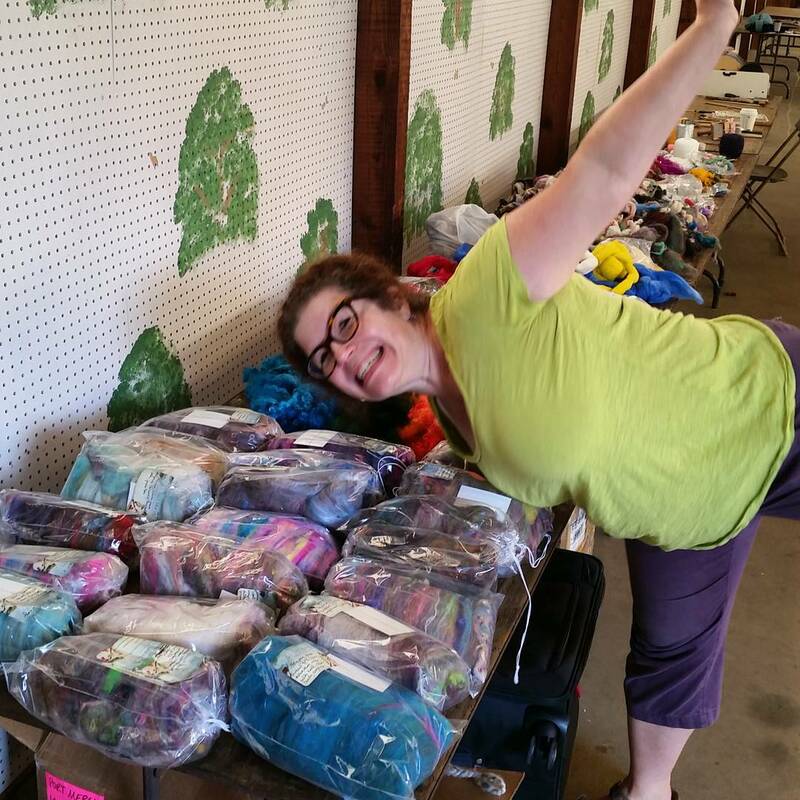 I was really excited to be teaching 4 days at the festival, and I even had an afternoon to shop! 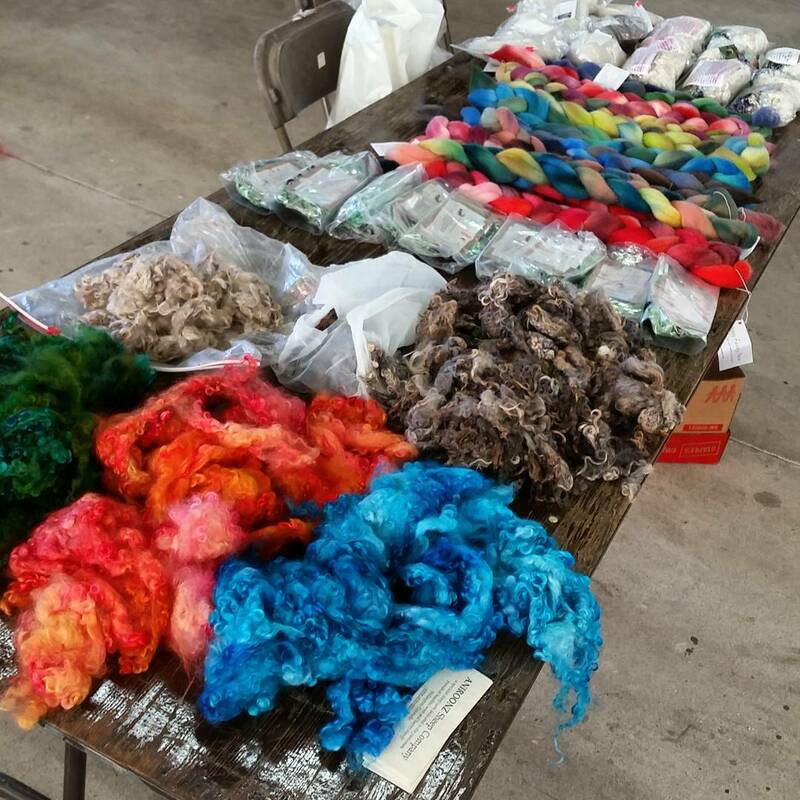 This was my first time at Michigan Fiber Fest and I wasn’t disappointed! There’s good food, and a wonderful selection of vendors! 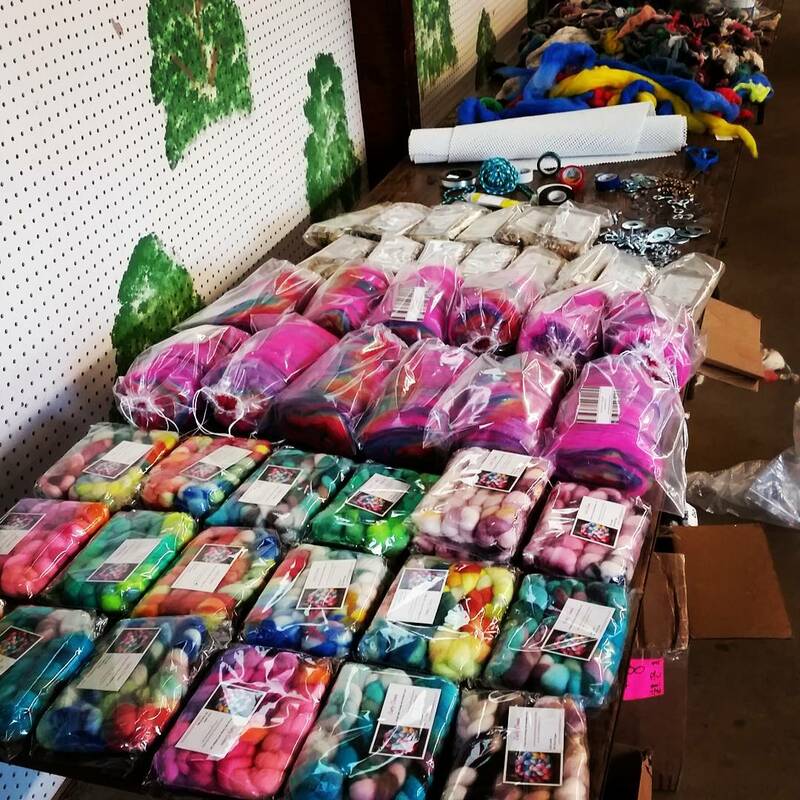 There is PLENTY of yummy fleece (I bought TEN even though I wasn’t going to buy any) and that was all from booths.. there’s even a fleece show that I didn’t hit, and a barn full of animals! 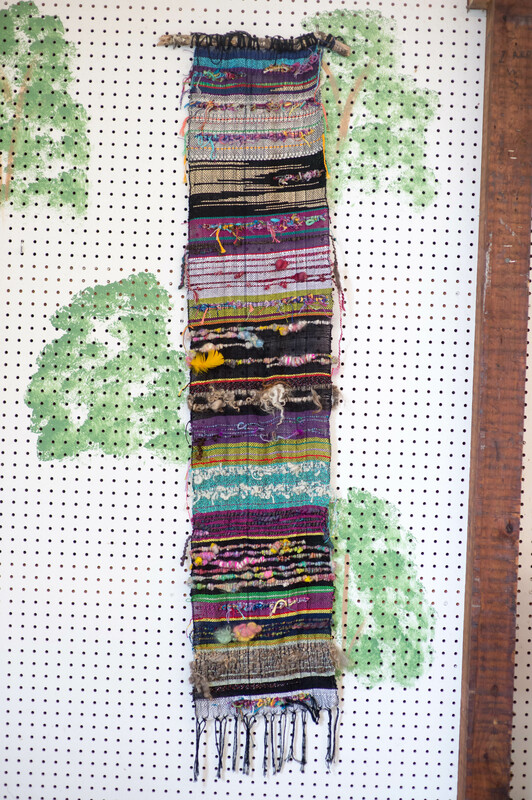 I love this class because we explore how texture works in different weaving techniques. I love to bring in my favorite woven sample with some crazy yarns to show how bold you can be when working with the loom. 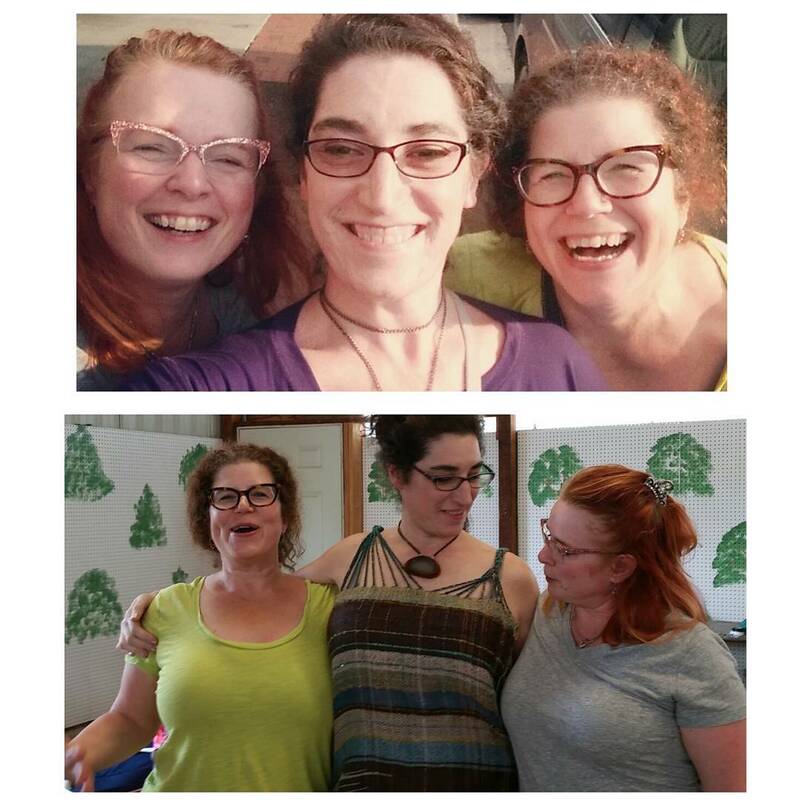 I have been working on a lot of writing and samples, but I was so lucky to have Jillian Moreno in my Thursday class (yes THE Jillian Moreno from KnittySpin and PLY Magazine and Craftsy class instructor and Interweave video author.. NO PRESSURE, right?!) It’s fun to have colleagues in classes, and I know how much I love to actually take a class when I have time. She had dragged Beth Smith along to the fest (kicking and screaming I’m, sure..) and we relished in a couple hours of downtime after the full day! My third day of teaching was split into 2 classes. In the morning I taught one of my new classes, that is also a favorite- Unconventional Materials Challenge and other party games. In this class we really reach outside our comfort zones and push the limits! We play a number of games that encourages the use of new techniques, as well as going outside of color comfort. I was beyond excited to see my amazing friend, Sara Norine, from Florida, who also happens to be one of the most incredible photographers I know. She got some amazing shots of what we were spinning in class. We used the luscious rainbow batts from Uniquely Yours fiber, along with some awesome chevoit hand dyed top from Curly C’Ewes fiber. 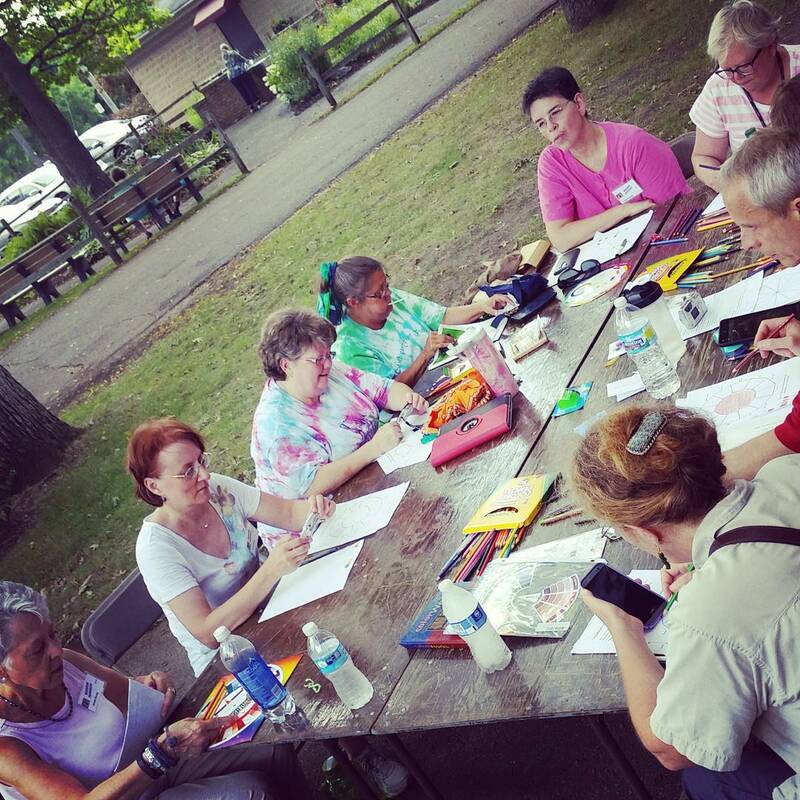 The afternoon was spent enjoying the weather and exploring color theory. We had a wonderful time playing with hues and saturation, and building colorwheels. along with hand dyed top from Happy Fuzzy Yarn! 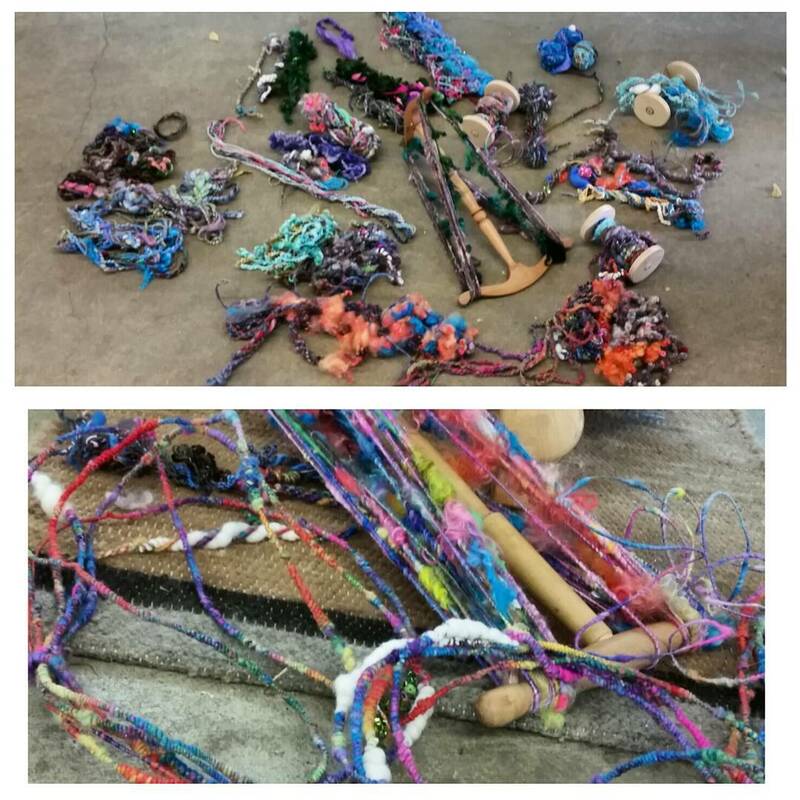 We lockspun, tailspun, spun with one and 2 cores.. we SPUN ALL THE LOCKS!! 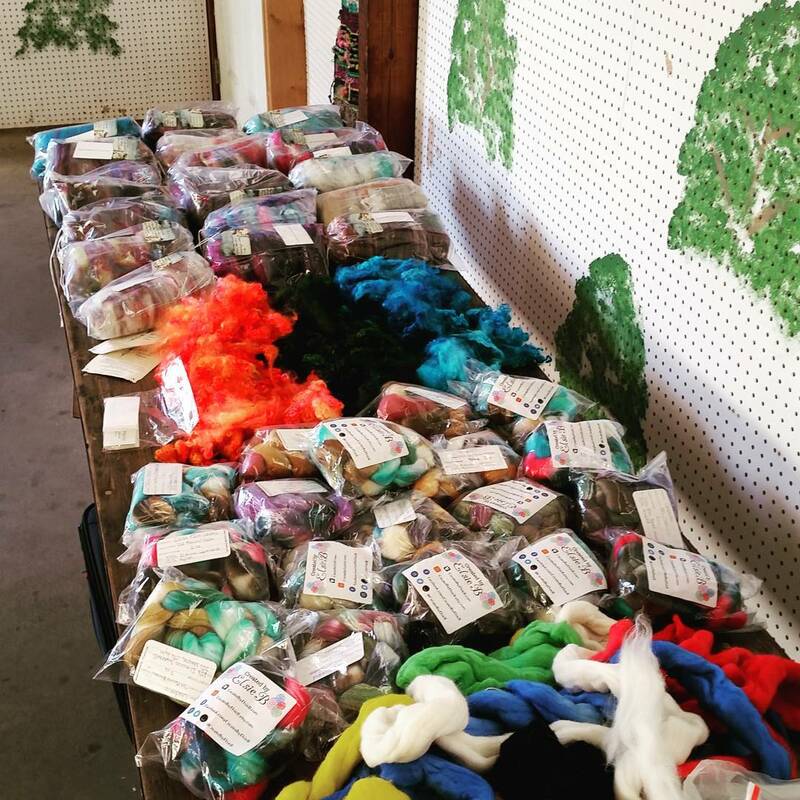 The rest of my afternoon was spent peeking into vendor stalls and trying not to come home with all the fleeces and yarn. 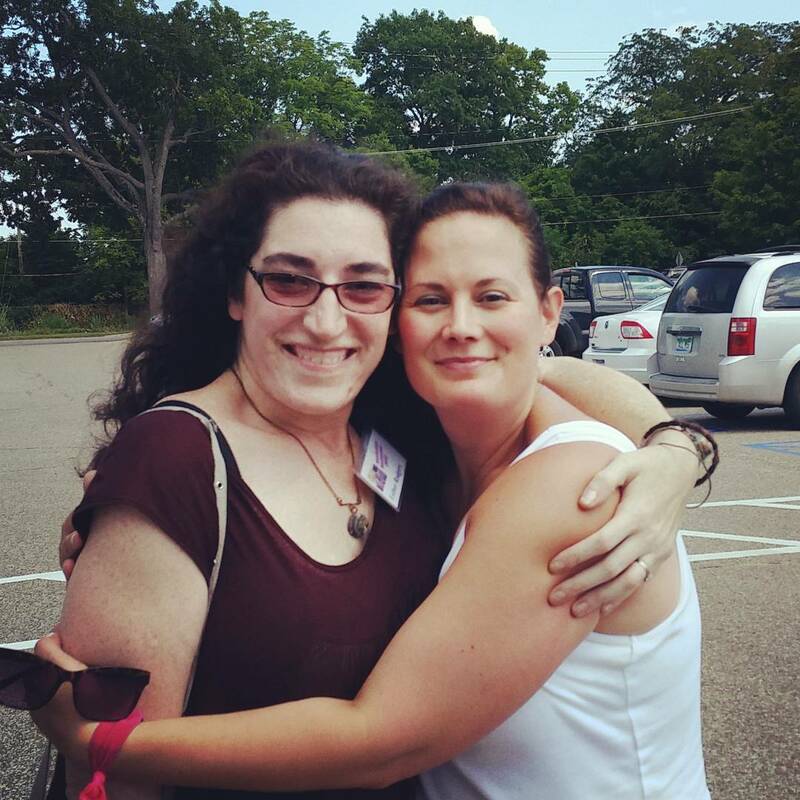 and I got to spend the afternoon with an old Bestie, that I don’t see enough since she moved to Chicago. For those of you who’ve been reading my blog for a few years, know Renee and I have had some crazy fiber adventures.. usually involving food and stuffing the car as full of fiber as we can..
Like old times we split the most beautiful 9lb grey wensleydale/bfl fleece. Then it was time to head home- had to keep pumping out the content for #epicthings that I have been working so hard on (more on that in the next post!!) 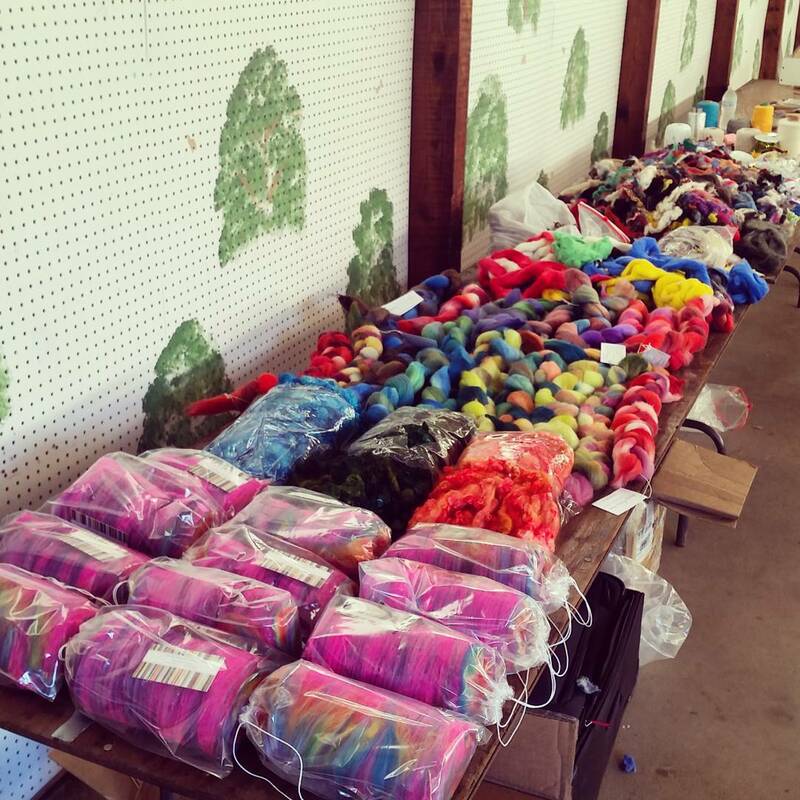 I’ve got a handful of spots left in my Texas workshop at WC Mercantile at the end of the month in Navasota, and there are still a few spots left in my SAFF classes. I can’t wait to spill the beans about my #epicthings!!! Maybe tomorrow!! Until then….